It is one of those hot summer days when it is hot enough to fry eggs on the street, and you end up looking as if you have been sweating in the sauna. Your makeup runs, your hair looks seriously heat challenged and the fatigue that you are experiencing along with that sticky feeling makes you want to run home at the earliest. Undoubtedly, the vagaries of summer have to be dealt with, but there is no reason why you have to wilt with the heat; so once in the cozy comforts of your room you switch on your air-conditioner and relax. It’s all the more tempting to keep the temperature well below 200 C or even 180 C.
But are you aware of the risks and dangers of being in the cooling comfort of an air conditioner in hot summer? Before that let me relate my own experiences of sleeping in an air conditioned room. Much to my chagrin, my husband has this annoying habit of keeping the a/c temperature well below 180 C at night, especially in summer months. He always wakes up sniffing and coughing with a cold that lasts until midday. I must admit though that he has a sinus problem and does get colds at frequent intervals but whenever the air conditioner is at such ridiculously low temperatures, he most certainly catches a cold. Just a few weeks ago, I was suffering from dry cough and as you all know it’s at its worst during nighttime. And most of the time, that incessant coughing, didn’t allow me to sleep a wink and I would wake up in the morning feeling awful. Even after two weeks the horrid cough showed no signs of subsiding. On the contrary, it had worsened. I never have the habit of gulping down any OTC cough syrup – I always rely on home-remedies be it for cough, cold or any minor ailment that bugs me and it always works wonderfully for me. But this time, no remedy had any effect on me. Now since chronic cough is usually a symptom of far more dreaded diseases, all sorts of fearful thoughts started hitting my mind. Nevertheless, I started pondering over what had aggravated this cough. After much thinking, I decided not to switch on the a/c for a few nights and see if this could help. So for a few nights, I totally avoided the a/c and managed with a ceiling fan. Only on extremely hot and humid days did I put it on and that too not below 250 C and for not more than 3 hours. Needless to say, my cough was gone within a week. BTW, here’s an interesting article on how to sleep comfortably on a hot night without using the air conditioner. 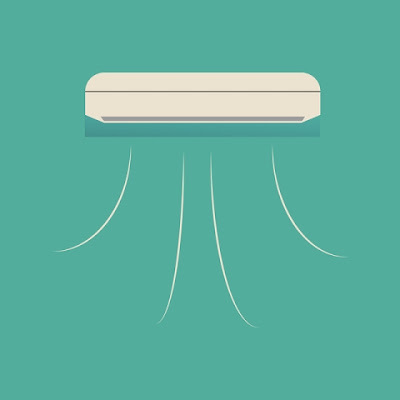 Do air conditioners cause respiratory illnesses? I did some research and also talked to my doc and found a thing or two about how air conditioners can trigger respiratory illnesses. Apparently, as aircon rooms have low moisture levels, they tend to dry out the mucous membranes and irritate the throat. Here’s what the doc had to say. It’s highly recommended that you should not keep the temperature below 230 Celsius neither should you inhale the cool breeze that comes from the A/C as it can even cause chest infection or bronchitis. Moreover, switching from hot, humid outdoors in summers to the extreme cold temperatures of an air-conditioned room indoors, all of a sudden, causes extreme temperature changes which is detrimental not only to your health but also to your skin. I also found out from this source that too much air conditioning can cause cold and flu-like symptoms, sinus problems, bloody nose, body aches, sore joints, arthritis and other problems affected by prolonged cold air exposure. The body may also develop intolerance to warmer temperatures and heat and no longer be able to adjust properly to temperature changes, especially dramatic and rapid fluctuations. Air conditioning is also suspected to be play a major role in soaring obesity rates in America. Don't sleep right under a fan. I hate to have face a fan blowing air directly onto me. Sleeping right under the fan should also be avoided as it can cause problems especially for those who are suffering from allergy or respiratory problems, according to my doctor. Well, I don’t know about you but I simply can’t bear to sleep with a fan blowing air directly on me. It doesn’t make me suffer from cold, coughs or any respiratory ailment but I do get aches and pains in my body after I wake up. If I cover myself with a blanket, it doesn't happen. Well, it's a fact that if cold air blows on your body continuously for hours it causes muscle pain and stiffness.You should therefore, adjust the position of the fan in such a way that it should be pointing away from your body or else you should change the position of your bed so that the cold air does not irritate your muscles. 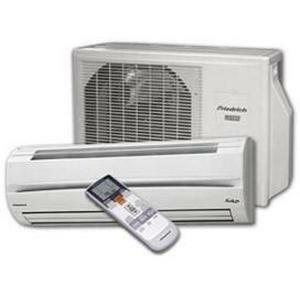 Air from air conditioner can affect muscles. Muscles need warmth; they constrict under cold conditions and become stiff and sore and are more prone to cramps and spasms. The effects of this direct air blowing, however does not necessarily produce the same kind of symptoms in all people. Each person's body constitution is different. While the effects may be more pronounced in some people, still others may experience little to no issues. However people with arthritis and weak joints are more prone to it. If at all you have to sleep under such circumstances, make sure you are covered with a blanket. Now, I always knew that air conditioner air is not good for the skin and makes it dry and prone to itching. It’s even worse for those suffering from eczema or psoriasis. It also does no good to the hair and leaves it dry and lusterless. A trick to prevent the a/c from drawing moisture from your skin is to place a bowl of water when you are in an a/c room, thus reducing its drying effects on the skin. Also the use of a good moisturizing lotion is a must to prevent dry skin. Better still, minimize the use of air conditioners or totally avoid it if you can - the benefits are multiple; your health will improve, your skin & hair will thank you for it, you won’t get dry eyes, you will save on your electricity bill and last but not the least it’s an environment-friendly thing to do. My personal preference is to run the fans on high with the air conditioner set to 25C rather than setting the air conditioner any cooler then that. To help us sleep at night in the summer we leave the air conditioner at 25C, set the fan to high and remove the duvet from our duvet cover, so we just sleep with the duvet cover. This helps us to sleep at a comfortable temperature, without increasing the costs to cool the house. The recommended temp for AC is 23-24 degrees. Also you running your fan is crazy. A fan actually uses more power than the current inverter AC split systems, so you are doubling your power usage, way to go! Interesting topic. There is another factor, is your house insulated. If not the AC is working against the heat load in the roof which can be considerable. At 25 degrees in a properly insulated house I expect the temp would be quite comfortable. I found this posting quite interesting! I hate running an aircon. Everyway I look at it it is a waste of energy. .I usually set my air con to 27, which is sometimes too cold. This is the best recommended temperature.. I think that 20C is good just make sure that you just do it 5 to 10 hours and not exceeding to at least minimize the effects of climate change. Just stumbled on to this site! When running your air conditioning system at night, try putting the temperature a few degrees higher on cooling mode. Your body will cool down quicker at night as you wont be moving around so you will have less to cool down. On the contrary, you should turn it down at night. Remember, the temperature you will not be the exact temperature you feel in the room. Treat the temperature setting as a scale, and adjust accordingly. If on cooling it is still too warm, adjust the temperature down in the smallest possible increments until you are comfortable. Likewise on heating, adjust the temperature up as small as possible until comfortable. When running your air conditioner, ideally you should set the temperature to 22-23 degrees Celsius (74 degrees Fahrenheit). This is an ideal temperature for both heating and cooling. During cooling, the lower you set the temperature the longer it will take the unit to cycle off. Many people think the lower they set the temperature, the quicker the home will cool. But an air conditioning unit will cool at the same speed whether it is set on 23 degrees Celsius (74 degrees Fahrenheit) or 18 degrees Celsius (65 degrees Fahrenheit). are you getting better now? Pei Pa Koa (http://www.geocities.jp/ninjiom_hong_kong/index_e.htm ) is one of the few Chinese natural cough remedies that have been scientifically studied. it's something like herb plus honey, and it's sweet, thick and black in color. If you have a cough, look for it! It used to be one of my favourite natural cough remedies. What an excellent article. Thanks so much for the great tips. The root cause of the problem is humidity, lowering the temperature will run the AC more often and ACs extract humidity from the air when the warm air passed through the evap coils that sit above your furnace (if you have central Air conditioning). Get a hydrometer and make sure the humidity is maintained near 45% at all times. @Anonymous (comment #20): Do proper research before labeling someone's views as foolish. 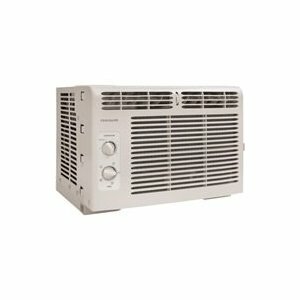 If you do not need any advice regarding ac temp. adjustment, why did you even bother to read this article and post a comment. (that too as an anonymous) And it's a fact that if you are under a fan with air directly blowing over you for more than an hour, your muscles become sore and stiff and you do get body aches. Search for it on google and you'll get your answer. If you didn't experience any such thing with fans, doesn't mean that everyone else should feel similarly. Each one has a different body constitution. I totally agree with your comments. I found this article very useful having just bought an air con unit and not understanding how the temperature works. People remain Anonymous because they are cowards. Thank you for a very interesting post. Pauline, you are right about these anonymous commenters. Glad to know that you found the post useful. I have carrier ac. and when i set it on 17 degree celsius it just gives a pleasantly cool environment. Can anyone suggest what is the problem with my air conditioner. I hav bought this ac 2 months before...???? Thanks for sharing, very informative post. Its quite relevant ..damn useful.. These are definitely helpful and enlightening tips you specified in this post. Air conditioner is a real benefit for all of us mostly during the summer season. However, taking the extra precaution of using this machine is absolutely important. Also, don’t forget to at least wipe your sweat and take a rest before exposing yourself in a cold area. I hope that helps. I'm the same way, I don't like the feeling of having a fan pointing right at my face. The cool is nice, but I don't like the feeling of it. These were some great tips! I found it really interesting that muscles constrict when it's cold. That is a good reason to keep the air conditioning turned down just a little bit. i put my ac on 20-22 c when i'm at work , i normally put it on 15-19 c . I never suffer respiratory illness , my body is always warm. I use my air conditioning on 15 c all day with a fan. Yup it does waste lots of power and when i sleep , i use lots of blanket just cause i sleep very good. Very informative, thanks. Body fat % makes a huge difference in regulating body temp so if someone feels comfortable with room temp on 18c with a bodyfat % of 25 or more, a skinny person with minimal or little amount of body fat will feel dang cold. It's just the way it is. Now the seriousness of extreme temperature fluctuation say going out for a smoke brake with outside temp of 36-40 degrees celsius (c) from an 18c cold room, then going back, repeated several time throughout the day is a massive shock to the body so be very cautious doing that. Blood circulation gets messed up, immune system weakens and will result in abnormal body functioning and several negative health conditions even if only for temporary.